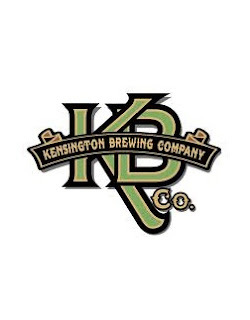 The Kensington Brewing Company is about to release “TILT”, a hoppy one-off beer dedicated to the revival of pinball and arcade games in Toronto. TILT is an unfiltered American Wheat Ale brewed with a 50/50 mix of German wheat malt and Canadian 2-row barley. It is a light bodied beer hopped with a compelling blend of Galaxy and Falconers Flight. The result is a bright, hop-forward pale wheat ale with prominent herbal, citrus and floral characteristics. TILT will officially launch during Toronto Beer Week this Friday at 3030, Get Well, and other participating pinball bars in Toronto. It will roll out in earnest to Tequila Bookworm, Bar Hop, Bar Volo, Wvrst, Handle Bar and other fine establishments shortly thereafter. The launch of TILT will culminate in a "Pinball Crawl", a pinball-themed bar crawl scheduled to take place on the 28th of September. Equal parts bar crawl and pinball competition, the event will visit some of Toronto's premier gaming and craft beer destinations. Participants will enjoy great beer while competing against one another for pinball supremacy! At the end of the night they will award a KBCo merch pack to the person or team with the highest cumulative score. Final details of the Pinball Crawl, including participating bars and how you can sign up by clicking HERE. Full details will be released at the beginning of next week.